I liked this book because it was really funny. Joe has everything he ever wanted and then his life gets complicated. My favourite part was when I found out he had his own orang-utan for a butler! I would recommend this book to everyone, you won’t be able to put it down! 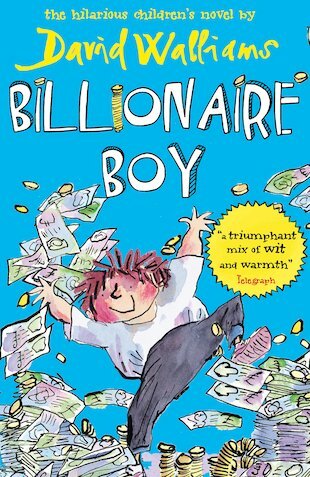 I think this is a funny book and is suitable for any age.it’s about a boy called Joe who’s father is very rich and has everything he’s ever wanted except one thing. A friend! a brill book for any age! This book is awesome whether you are 9 or 99 it is great for everyone. It isn’t like any of other books that try not to say words that are considered rude in school and it is quite much of a book that breaks the rules. it is absolute fantabulisticsomely great! I love all david walliams books i have read them all and think they are ace, if you haven’t read them you are rely missing out! !